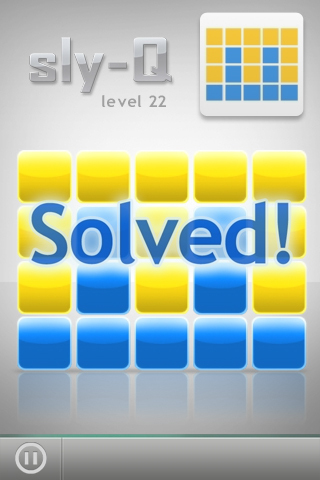 Sly-Q is a new and engaging puzzle! 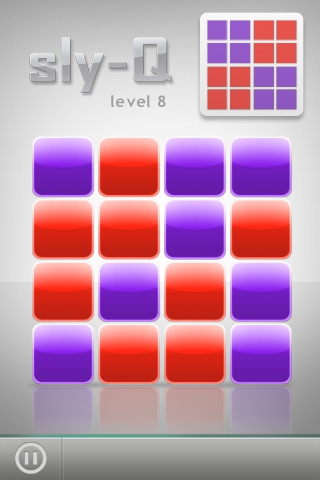 Slide the blocks to match a goal pattern. 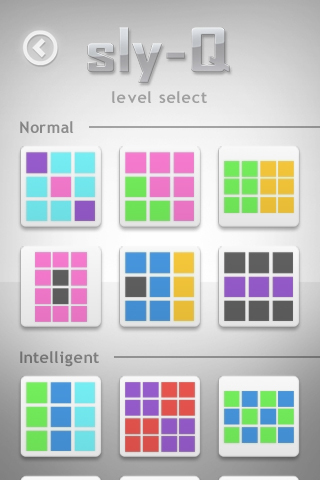 The puzzles start easy, but grow to include larger and more colorful goal patterns. Find out where you and your friends rank in the Sly-Q scale... normal, intelligent, genius? 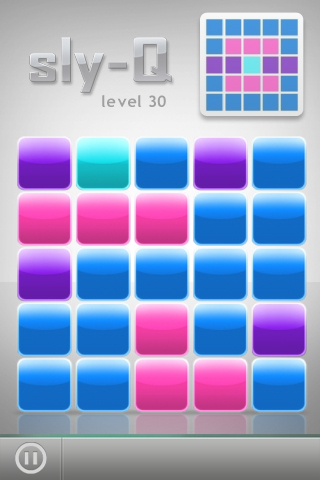 Sly-Q is available now on the iPhone App Store.